This is the reigning colour of 2013.. So true…camel and baby-blue or camel and Hermes orange or camel and black…such fantastic combos for 2013! I’m thinking about camel , a camel coat …. but didn’t find the right one ! waa my fav this season! camel is a classic and nice colour, it’s perfect for every season!!! I adore CAMEL but none of these outfits. That scarf is soooo luxurious! I think I’m in love! Timeless and classic. Should be a staple of every wardrobe. FABULOUS. Great way to transition the mecurial season using the camel. Now, I MUST know about the bottom left shoes (white soles, brown brogue uppers!) Oh my. Does anybody out there have a clue where I can get “feet” on them? A camel coat is a classic to have in every wardrobe! ok, want one now ! Clemence Posey looks very chic. Camel is a such a classy color. Camel is my favorite color. Very beautiful shots! My favourite colour for winter and spring/summer, works with everything! Is the first woman Clémence Poésy? Anyways, love the looks! Clémence poesy est jolie comme un coeur! Such a classic color!! Love it! I love the color. I think it looks perfect with the simplest look. Beautiful!! I specially love the first shot, simple and perfect outfit. Camel +white is a perfect mix! Oh my gosh it’s Clemence Poesy!! Amazing shots, thanks for sharing! Loving Clémence Poésy here. And loving the camel of course. Love this post! Such a nice colour. I think I’m going to have to invest in a few pieces which are this shade. Love the camel so much! It looks so classy and chic! Great snaps! This is a classic coat everyone must have! These looks are all really beautiful, though the first is definitely my favorite. Love that color it goes well with all skin tone. Simply divine! Such beautiful shots as usual!! I *am* thinking about camel. I’m always thinking about camel. It’s the classier, more old-money version of cool-grey-taupe. I was wear a camel coat when Scott took a pic of my boyfriend and I! We were in in via del giglio (use this tag) in Florence! Camel is classic and timeless. And that scarf is everything. Camel is a great alternative to brown or black for that matter. It’s neutral and goes with EVERYTHING! Simply love Clémence Poésy…and a camel coat should be present in every women’s closet! It’s a great color for all seasons. Camel looks so sophisticated and cozy, love this collage! Nothing beats a classic camel coat..
We’ve been wanting a camel coat for this winter and after this post we definitely need to get one! Some familiar faces in this post. Very nice the picture of Lucia Del Pasqua of http://www.thefashionpolitan.com, really ’30 style. Love Clémence Poesy on the pic! I’m a real fan of this color… I think that it’s very easy to wear and it’s very elegant. A timeless and always warm colour! It goes with blue as well as black. It’s perfect for coat and also handbags. Clémence Poésy is such an inspiration! Camel is so chic, specially mixed with grey. P.S Clemence & Lucia rock! kettj..camel and grey is ultra chic! Camel is such a classic and stylish colour! Camel and black, camel and blue are such classy and chic combinations! Actually I believe camel goes with practically every colour. I think camel looks best on blondes. I can’t wear it, it washes me out, but I love it on other people. It’s probably just me but I don’t see much camel in Men’s collections. Which is too bad since it has such a luxurious vibe to it. I think it can elevate your look to a whole new level. 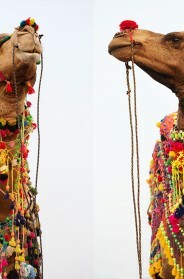 Well, it’s time to think about camel!! Clemence Poesy looks like she was born to wear camel. I am SO looking for a camel coat now. Camel is such a beautiful color, the third look is great. LOVE the pics LOVE the brogues with the white soles, they are GRENSON girls love ! I love Clemence Poesy! She’s so gorgeous. hello,does anyone know who the woman in the camel scarf is?